In the mobile-dominated world, it is hard to survive without an app. This is the reason app development companies and businesses shake their hands to develop mobile apps for Android and iOS platforms. They build apps in order to engage, retain and attract customers, ultimately creating monetization opportunities. Among all other means, the one that retains majority of traffic is incentivized temptations and mobile ads. Many companies strive hard to overcome app monetization challenges. They dream about making money from the day their app is published in Android, iOS or Windows market. Only a countable number of them succeed in persuading the visitors. Dropbox is a good example of successful freemium model while Angry Birds significantly monetize on display banner ads. It is important to know that no matter what model you choose, your sole motto should be to make it work for you. The idea of integrating powerful in-app monetization tools can not only automate your revenue generation but also help improve user experience and acquisition. Google’s AdMob offers its in-app advertising services to nearly 50,000 businesses that have their own mobile presence. In addition to these, AdMob comes with a mediation feature that lets you handle multiple ad networks, allowing you to manage the in-app advertisement on the basis of location, traffic density and ad revenue. InMobi is an easy-to-integrate ad network that uses both SDK and server side API to help developers and publishers to monetize mobile apps. InMobi’s performance-based ads can maximize app revenue as well as help engage and acquire new customers. With InMobi’s ad platform, you can implement the competitive CPM model to engage more traffic. You will be able to enter the market of millions consumers in more than 150 countries. It supports ad formats such as HD banners, rich media, video content, interstitial ads, etc. InMobi also leverages its conversion tracking system to ensure users get right ads displayed on their screen. Developers can choose multiple formats of ads such as video, display banners, rich media, and can run their own house ads as well as Millennial ads, premium ads, third-party ads and client ads. Millennial media, which is heavily popular in US market, offers mature range of advertising solutions across various devices running on different OS systems. It is the frequent winner of Mobile Marketing Campaign of the Year awards, and the platform is chosen by more than 30,000 apps worldwide. StartApp offers developers an SDK that allows integration of mobile search engine add-on into their apps. Developers can integrate search engine in merely 3 to 5 minutes and start making revenues using StartApp’s unique monetization model. Developers can earn revenue from user searches. StartApp is quite popular worldwide among Android developers as it has been downloaded 250 million times for the purpose of Android apps monetization. Its search engine is commonly found on Android devices and is widely used mobile search engine in West. This unique monetization tool offers developers and publishers good number of choices for selecting channels for monetization. Linkury is widely known for its powerful set of monetization tools that enhance engagement and users management. A unique advantage offered by Linkury is that it makes apps reach a user’s home or lock screen for increased exposure. It allows you to strengthen your monetization strategy with contextual advertising in which interactions are personalized based on user interests and their search behaviour. This mobile only ad platform targets gamers and helps game app publisher monetize their apps. Since it is dedicated to game-loving audience, Chartboost is an attention-worthy in-app monetization tool for game developers. With Chartboost, everybody involved wins: Publishers retain their users, can promote their newly developed games to increase downloads while maintaining interest for their existing ones, and attain user engagement. On the other hand, users gain unusual experience and novel alternatives. Chartboost simultaneously gets small revenue out of these activities. Tool’s analytics help developers get insight into users’ behaviour to improve campaign’s performance. Chartboost offers a window into on who advertises in your app and where, so that you can control the ads users view inside your app. AdColony is a video advertising platform that helps you generate revenue and increase user engagement with the help of video ads. AdColony collaborates with brands that appear in Fortune 500 list. It is associated with more than 85% of the world’s topmost app publishers. 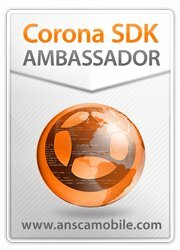 It is considered to be the most suitable tool for in-app video ads. It serves HD mobile videos run by Instant-Play HD technology. It works across all device types on varied internet speed. It drives appreciable engagement with quality ad content. Offers buffer-free video playback for engaging advertising. Because of its clean ad management and ability to touch audience across various geographies and demographics, AdColony has earned global reputation and reach in mobile advertising arena. 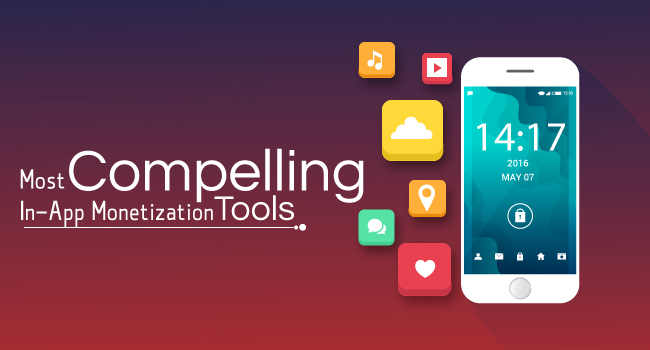 These are a few remarkable in-app monetization tools among the pool of many used by developers and publishers worldwide. The key to success is discovering the one that incorporates all your requirements and business expectations. You can pick the one that you are confident will work for you. If you are struggling to choose the right one, you can do your research and dig deeper into market trends.